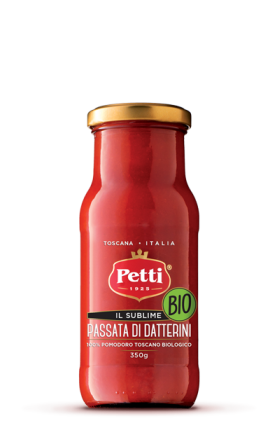 The best and sweetes Tuscan organic Datterini tomatoes are carefully selected and sieved into a very ne mesh sifter that removes skins and seeds. 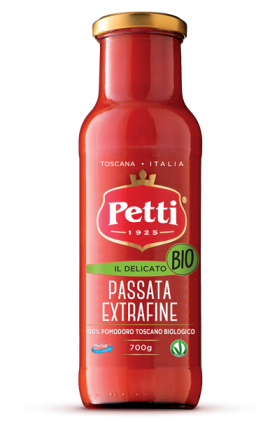 Therefore this special passata has a unique creamy and delicate consistency. 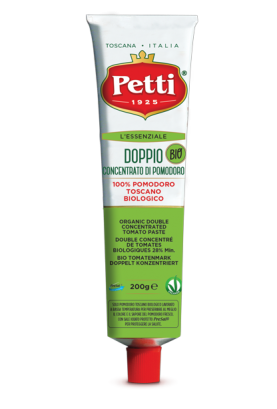 From the best 100% Tuscan organic Datterini tomatoes, a deli- cate ne pulp, very sweet and tasty. 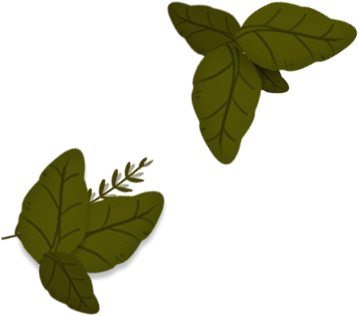 A unique product and brand new on the market. 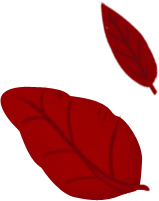 The best Tuscan organic Datterini with a special sweet taste are carefully selected and peeled one by one, then left whole in their juice. Jalapeño is the king among chili peppers worldwide, the perfect ingredient to make the organic Datterini passata a very special product, with a unique taste that hits just right. 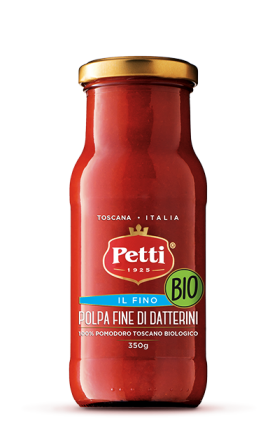 The sweet flavour of the organic Datterini passata meets the ginger, currently one of the most popular ingredients of food lovers and experts, reaching a balanced taste rich in health. 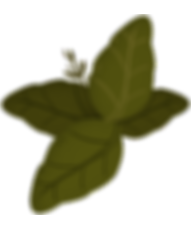 A real surprise for the tomato preserves’ category. 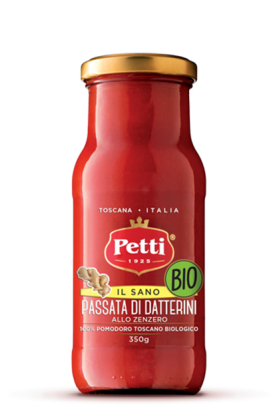 The sweet flavour of the organic Datterini passata meets the ginger, currently one of the most popular ingredients of food lovers and experts, reaching a balanced taste rich in health. 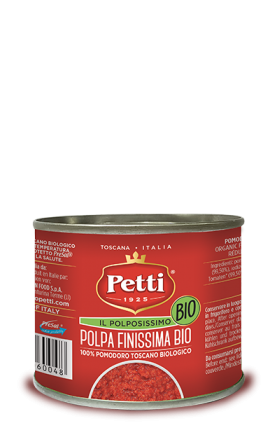 The best Tuscan organic tomatoes are sieved into a very ne mesh sifter, in order to remove all seeds and any trace of skins. 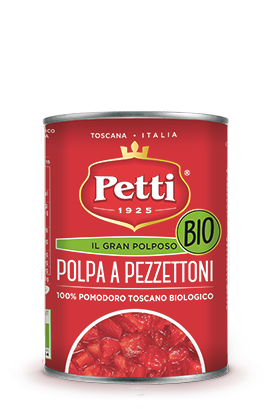 For this special organic crushed tomato pulp, unique on the market, we carefully choose the best organic Tuscan tomatoes, which are then properly calibrated and finely chopped. 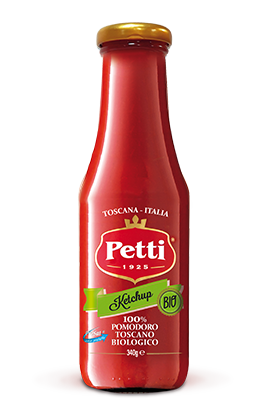 Petti ketchup is 100% natural, made with an exclusive recipe from the nest tuscan tomato- es, that make this product truly unique and very tasty. Well ripened and juicy organic tomatoes are peeled and packed whole. A worthy kitchen cupboard should have at least a pack of this product. 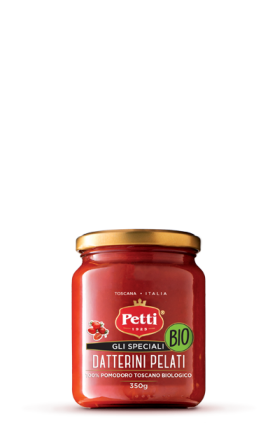 Only the healthiest, ripest and sweetest Tuscan organic tomatoes are selected, sieved into e very fine mesh sifter, in order to be concentrated up to obtain this deep red double concentrated tomato paste having an intense taste. 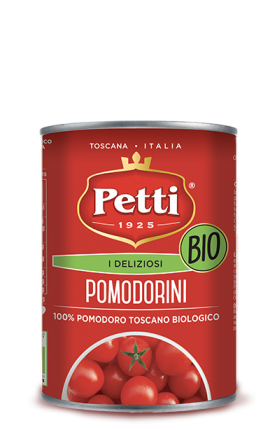 The best organic Cherry tomatoes are carefully selected and packaged whole in a tasty tomato sauce to guarantee the consumer the natural fragrance of freshly picked tomatoes. 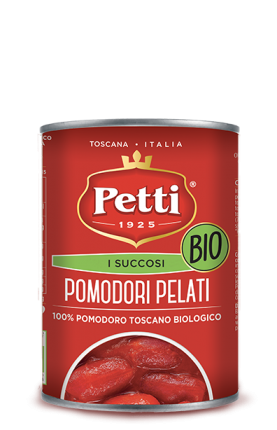 Cook with Petti tomato and be inspired by taste and fantasy. 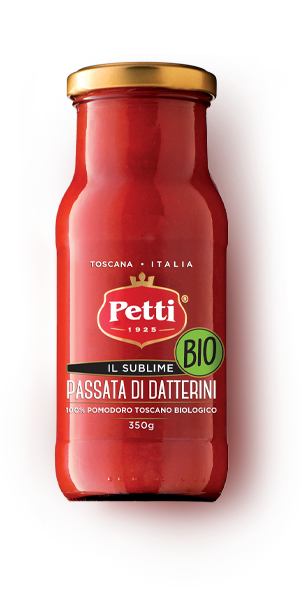 Petti helps you creating all sorts of dishes, from the traditional Pastas to more exotic and Gourmet recipes, our wide range of tomato preserves are ideal for practical and quick meals, for those who have no time to spend in the kitchen, but the Petti range offers a wide choice also to real, Chefs, experts and food lovers. 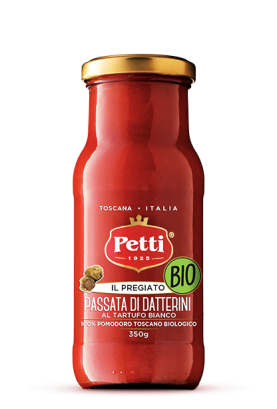 Classic sieved tomato passata, chopped tomatoes, concentrated tomato paste and an entire line of delicacies from Tuscan organic Datterini, the wide range of Petti tomato meets all requirements and tastes. 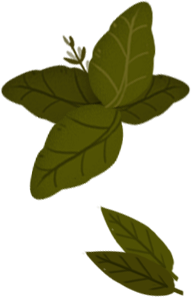 We explain how to maximize the features of each product for a healthy and varied cuisine.